The Sedgwick County Commission had scheduled a reduction in the property tax rate, but may abandon it. Update: On Wednesday the Commission, by unanimous vote, disapproved the proposed ordinance, thereby leaving the scheduled reduction in place. On March 23, 2016, the Sedgwick County Commission passed an ordinance, number 51-2016, which stated: “The maximum target for the mill levy to be assessed by Sedgwick County during its budgeting process for budget years 2017 — 2022 is 29.359 mills, and for budget years thereafter is 28.758, subject to requirements mandated by state law.” All commissioners voted in favor. The resolution to be considered this week sets the maximum target for the mill levy at 29.359. Period. The language reducing the mill levy after 2022 is gone. Does this count as a tax increase? People will have different perspectives on this. 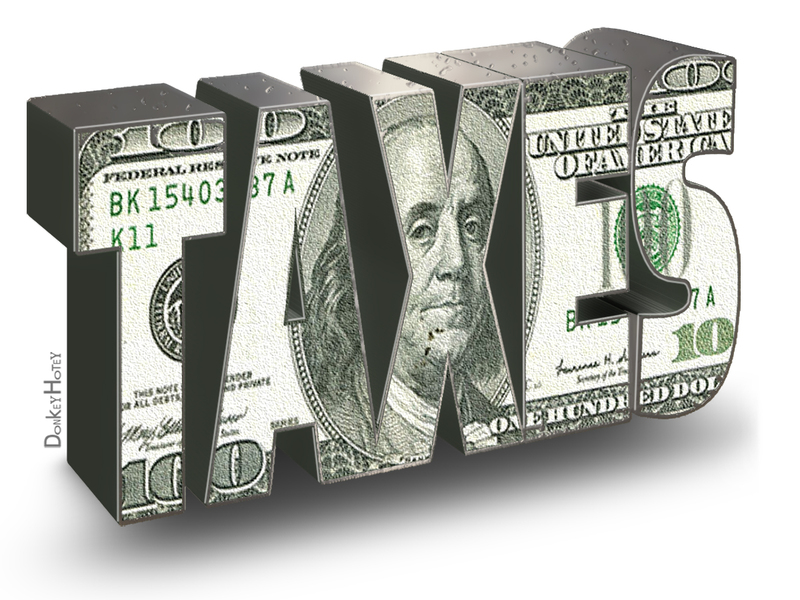 But it is certain that if passed, this resolution abandons a plan to reduce taxes in the future. Of note: When formulating a budget each year, the Commission doesn’t set the mill levy by ordinance. Instead, the Commission decides to spend a certain amount. Then, based on the assessed value of taxable property in the county, the mill levy is calculated. The target established by the Commission is just that, a target. 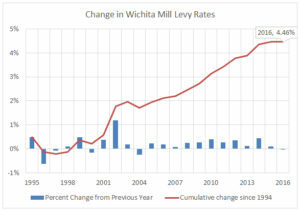 Without a strict target, the Sedgwick County might go the path of the City of Wichita, in which the mill levy drifts upward in many years, resulting in a large increase over time. See Wichita property tax rate: Level for the most recent figures. Great information for Sedgwick County taxpayers. 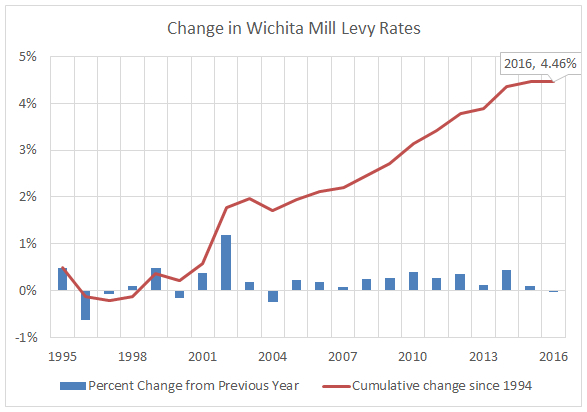 Kansas Policy Institute also has excellent information about the mill levies in all 105 Kansas counties where Sedgwick compares quite well in holding down the growth in property taxes when compared with inflation and population growth. I am glad that I voted for this measure when I had the honor and privilege of serving on the Sedgwick County commission in 2016. It will be interesting to see if any of the commissioners who voted on this in 2016 will change their votes tomorrow.